In preparation for our Cambridge Blue Plaque Walk at this year’s Art Language Location exhibition we will be celebrating some of our nominees. They have all been preserved in blue plaque glory and will be placed on the streets during our walk on the 18th October 2014. 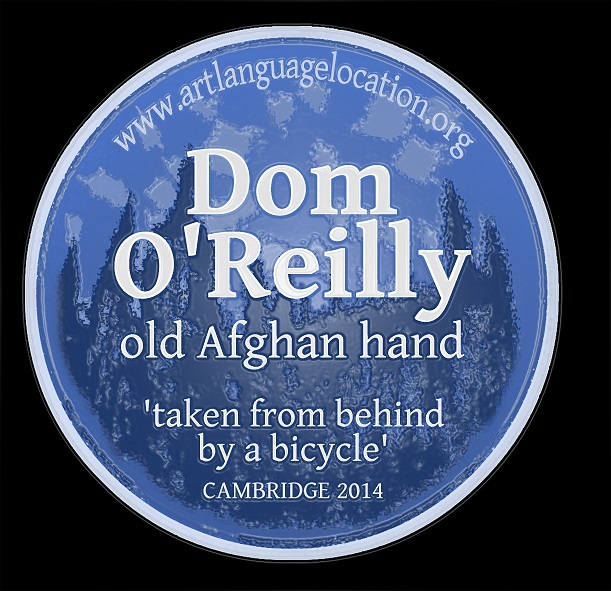 Dom O’Reilly is one of our most popular nominees who like many of the people who are celebrated in our Blue Plaques has both a good sense of humour and an interesting life story. Dom started his career as a journalist on the New Milton Advertiser and Lymington Times in Hampshire before reaching shores further afield with the Prague Post. 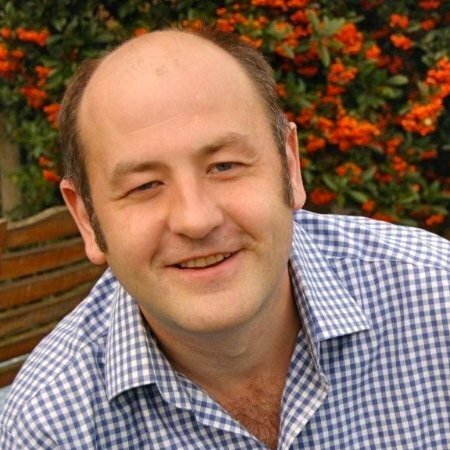 He was the Senior Reporter and Sports Editor on The European newspaper during Andrew Neil’s reign, the man we now know as the presenter of BBC2’s politic broadcasts with the shredded wheat hair. Sport and Foreign expeditions have been the reoccurring themes in Dom O’Reilly’s life and career. His time as UK Director at Afganaid not only gave him the chance to make a considerable difference to the people of Afganistan but also the development of its cricket team. One of his proudest moments was to see the Afghanistan cricket team achieve ODI status. I met Dom O’Reilly for the first and last time as part of a unusual art project in 2011 with the rambling art collective SMartwalks. 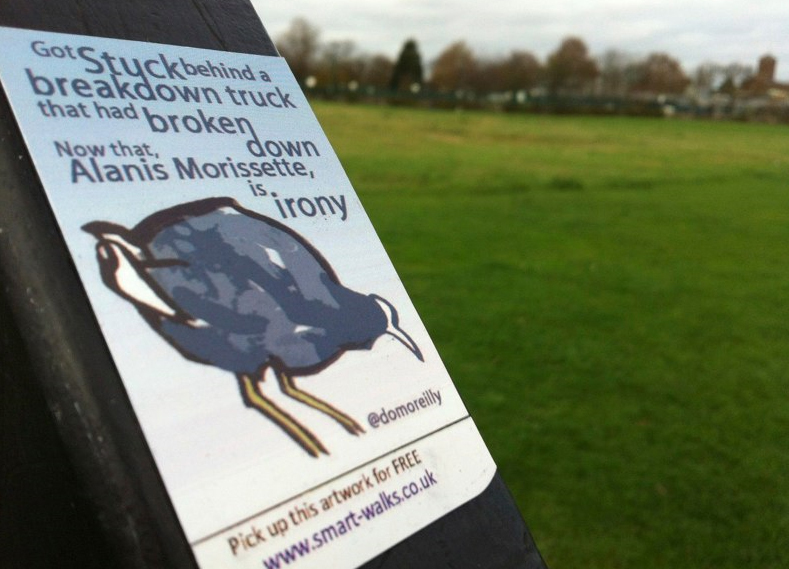 Back then we would find poignant, interesting and funny tweets from local residents and print them onto magnets. By taking them from the ephemeral world of twitter and posting them back into the physical realm, we were trying to explore the concepts of community, privacy and sometimes idiocy on our part. On the 26th November 2011 we walked a 5 mile high L (we subsequently walked ONDON too ) across London from Harrow to Gunnersbury. We were lucky enough to encounter one of our tweeters, Dom O’Reilly, in Gunnersbury Park. Hats off to him, no one else had been brave enough to track us down as we walked across the capital that year. Since then he has become Director of Communications at UWC International and luckily doesn’t wander around parks meeting rambling men. His plaque though tells it own story, one I’m looking forward to hearing if I ever meet the great man again.